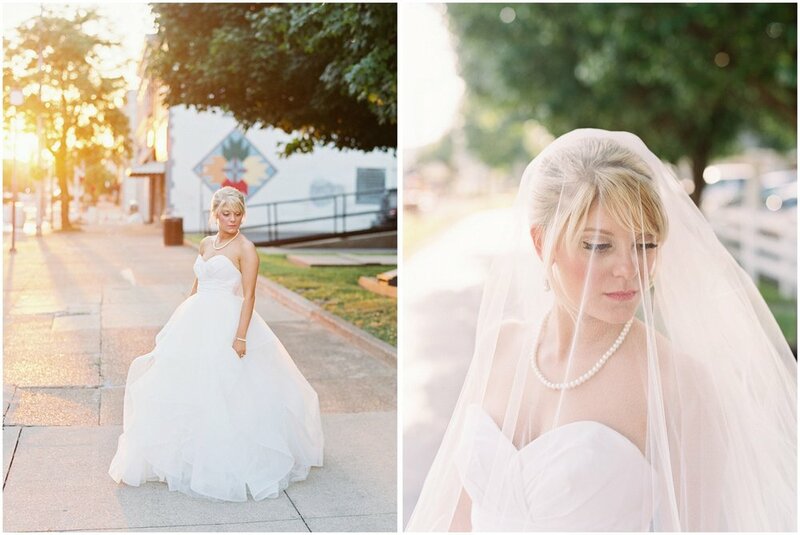 From the bride: My favorite part of our wedding day was how it felt so intimate, even with over 300 guests. We tried to add personal touches wherever we could. My 30 large floral centerpieces were handmade by my bridesmaids and I over the course of a year and a half. My mom and I planned and executed the entire wedding, down to the last detail. The florist and caterer were close family friends. The wedding officiant was Josh's grandfather, and his wedding band belonged to his late great grandfather, who was married for 64 years. We got married in the church where Josh's parents were married, and where his family has attended for decades. One of my flowers was a white rose, the official flower of my college sorority Kappa Delta. Josh is not a fan of cake, so instead of a groom's cake, my aunt made him a blackberry cobbler. One of mine and Josh's favorite summertime dates is to get ice cream at Austin's Homemade Ice Cream in Kenova, WV. We had an ice cream sundae bar with all of our favorite flavors. We also love to travel, so the guest book was a large map that we had framed and now display in our home. Before dinner started, we played a video we filmed with our videographer that told both mine and Josh's versions of our love story. All of this combined created the best wedding for Josh and I. It was full of personal touches that made everyone feel closer to us after the day was over. My favorite wedding day moment was walking down the aisle and seeing the love of my life tear up at the end of the aisle. 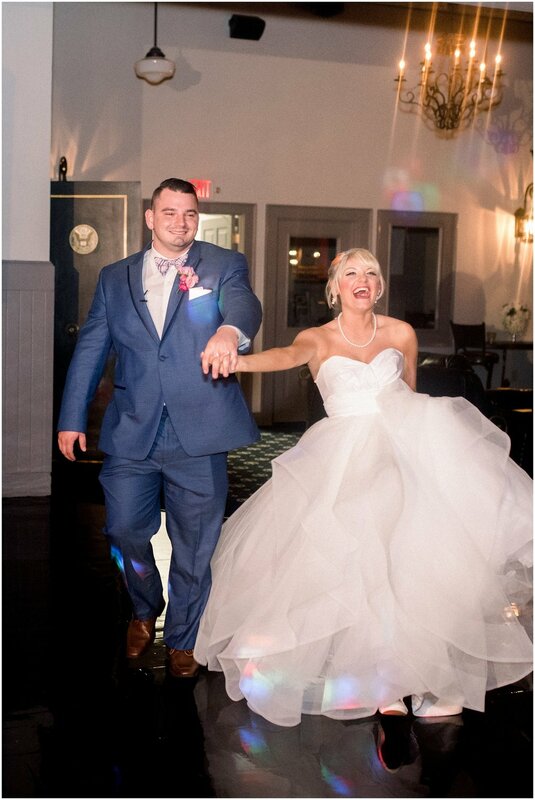 I've known Josh since I was 10 years old and never pictured me walking down the aisle to anyone else. He tried so hard not to get emotional, but is was just too hard for him in the moment I suppose. 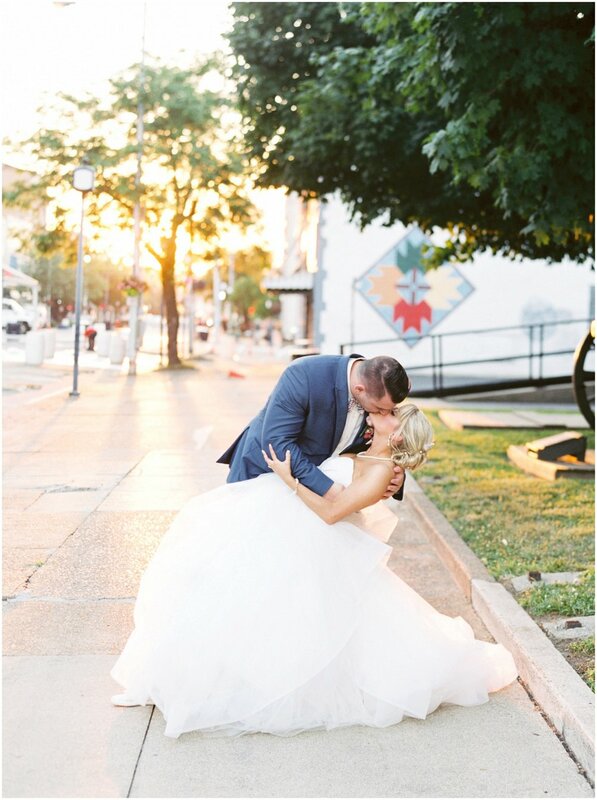 When I asked him what his favorite moment was, he also said is was me walking down the aisle (swoon!) If I had any advice for brides in the midst of wedding planning, it would be to include your friends and family in as much of the process as possible. Looking back, my favorite moments of the planning process were sending my bridesmaids pictures of potential dresses and getting their feedback. And seeing my mom and my bridesmaids circled around my dining room table helping stuff and address my invitations. Ask your mother-in-law for her opinion on invitation suites, let your fiance choose the sides for the reception dinner, and let your dad help you spray paint your candle holders. I believe that there is nothing more special than spending time with the people who matter most. Relationships can change after a wedding, so soak up every special and memorable moment you can.